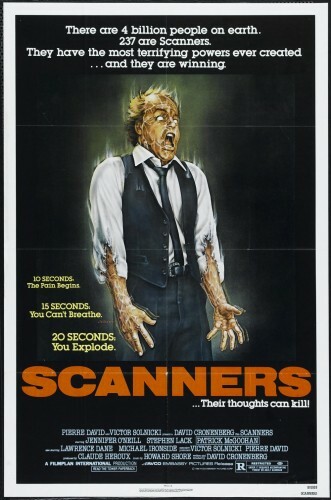 Ah “Scanners” movie that introduced me to the Awesomeness that is “Michael Ironside”! The concept was great, but every time I watched it I could never really get rid of one nagging little detail. I could not reconcile the physiological mechanics of what was going on with what abilities were supposed to be. Surely a person with either psychic or telekinetic abilities would be able to find a much more efficient way to kill someone than making their heads explode? Exploding heads are so cool though.